Target has a couple of nice daily deals today. If you’re in the market for a TV, check this one out. 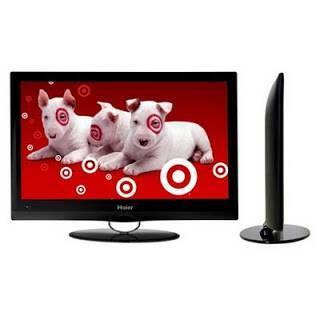 For $129.99, get a Haier 19″ Class 720p 60Hz LCD HDTV in black. It’s regularly priced at 189.99, so this is 32% off plus Target Daily Deals always ship for free! You can find this deal and others here. Shop around now if you’re interested. These offers only last for one day or until they sell out!